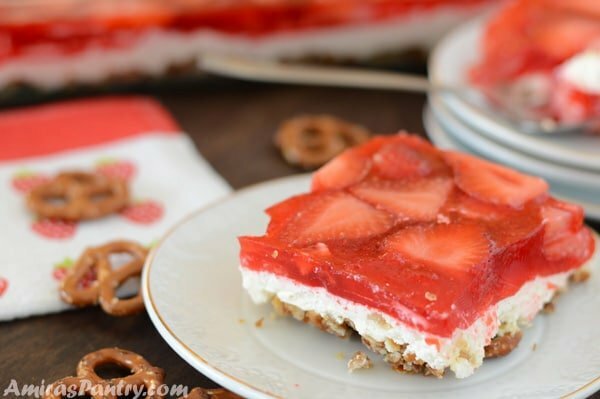 Strawberry pretzel salad is a jello pretzel cream cheese dessert topped with strawberries. The perfect sweet and salty dessert. 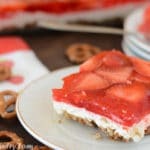 Strawberry jello cream cheese pretzel dessert, how food does that sound? 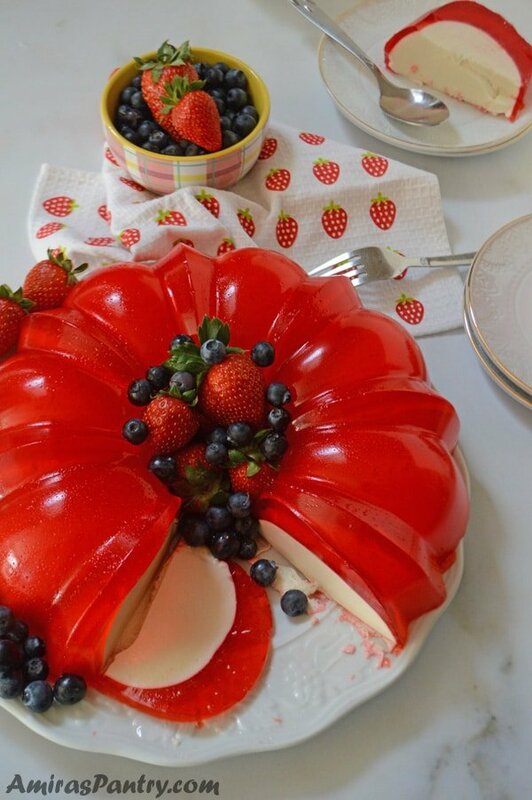 It is as if adding the crunch and salty factor to the tastes in my recent Jello cream cheese gelatin bundt. A salad named dessert, that is not actually a salad!!!. 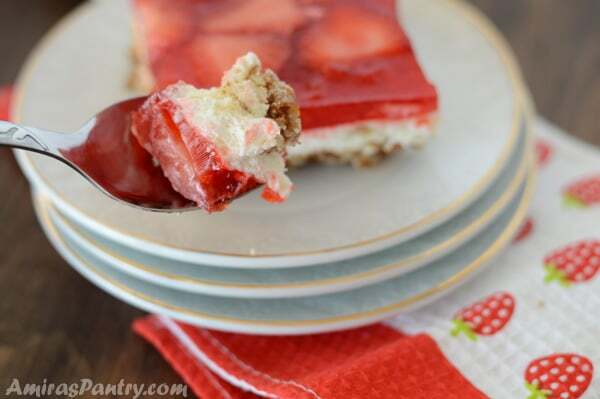 A no bake dessert, that is salty, sweet, creamy and crunchy. Perfect for holidays, potluck and parties.A classic dish that will never fail you. When was the last time you lost yourself to a book? and I mean lost yourself, like do not want to go to sleep although it is probably 2 in the morning? Or you take it with you wherever you go in hopes of getting even a page? It is a very desirable feeling when you feel that you are anxious to know what’s next. I’ve experienced this feeling a few times in my life, and recently I enjoyed very much reading a novel that was suggested to me by a friend. I also found out that it was turned into a movie this year, the movie and the novel called “Me before you”. I am not a fan of heartbreaking stories, I like light romantic comedy better, maybe this is because I feel the world if already full of tragedies and I do not need another one. Really this book was so emotional and hilarious at some points. Although I see it more as a friendship story rather than a romantic one, and although I predicted what was going to happen at the end, but I just kept hoping for the best and still I got shocked and saddened by the end!!! I am not ashamed to tell you that this book kept me awake until very late at night, took it with me in every doctor’s appointment, in the carpool at the kids’ school, may be in the lines at the grocery stores… weird I know. But really this book gave me an emotional punch that I did not expect and is still stuck in my head after 2 weeks of finishing it. What really touched me most is that it was inspired by a true story . 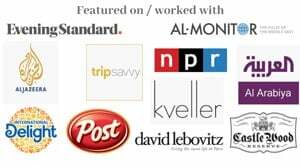 I liked that it is not that complicated and the language there was not that hard for an English as a second language reader. I’ve found some parts boring but in general it was a very good read for me and it really made me rethink a lot of things in my life and it taught me a lot about quadriplegic and that there is a place in this world that is called Dignitas, which I did not even know about. Although I do not approve the decision that had been taken in this book, I still like it, which let’s you know that I am a very democratic person ☺️ who can get along with ideas and things even if I do not approve it. A word of advice: if you are planning to read this book, DO NOT WATCH THE MOVIE until you are done with the novel. The movie really did not do the book justice. If you are having a book club about this book, or any other, this is a very delicious treat to take with you. 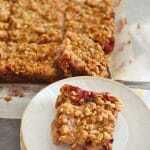 Especially if it is a sad book, then this dessert will make you forget all your sadness  and get along. 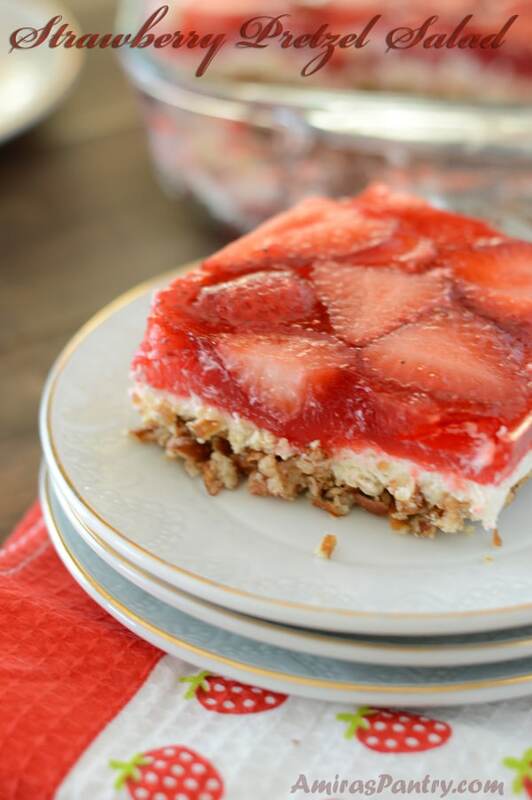 A strawberry dessert that is easy to assemble and perfect for parties. 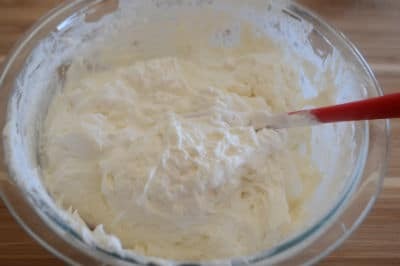 1/2 cup vanilla greek yogurt. 6 oz package of strawberry jello. 1 lb frozen or fresh strawberries. In a ziplock, add your pretzels and crush, you should end up with two cups crushed pretzels. In a sauce pan over medium heat, melt butter, add sugar and stir well, turn off the heat and add the pretzels. 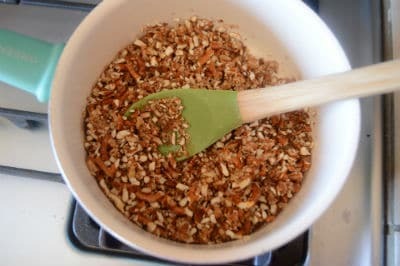 In a 13X9 pyrex pan spread the pretzels mixture and press down lightly to distribute evenly. Bake in the oven for 8-10 minutes.Take it out and cool completely. 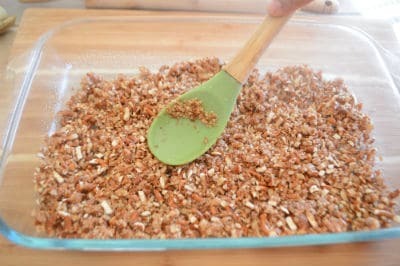 While the pretzel mixture is cooling, prepare second layer. 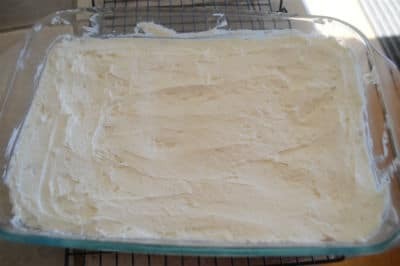 First cream sugar and cream cheese then add the yogurt and beat until everything is very well combined. Then fold in the cool whip with a spatula. *Spread the cream mixture on top of the pretzel covering sealing the pretzel layer very well. 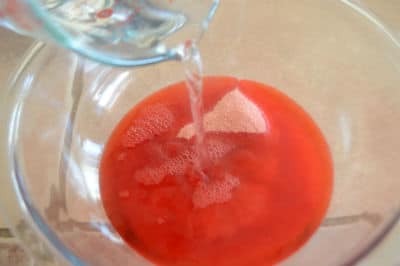 **Mix the jello very well with 1 1/2 cups of joining water. Add the frozen strawberries and mix well let it set in room temperature for 5 minutes stirring every now and then. 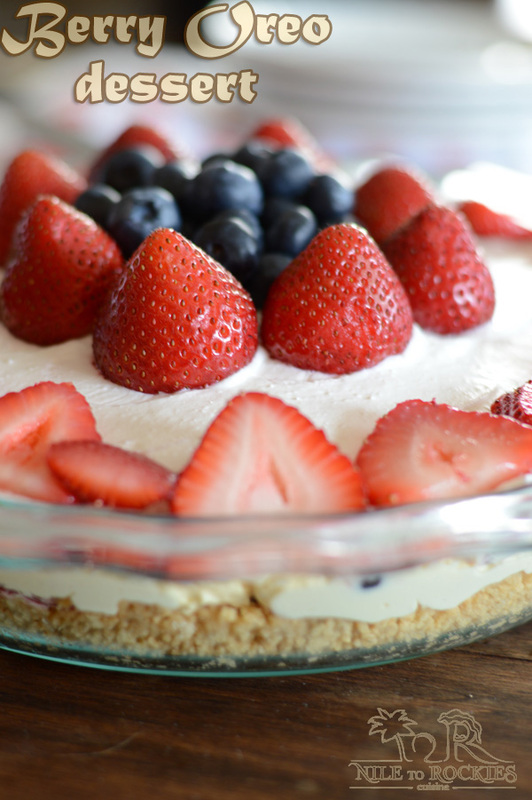 Spread the jello evenly on the cream layer and refrigerate for another 2 hours or over night. 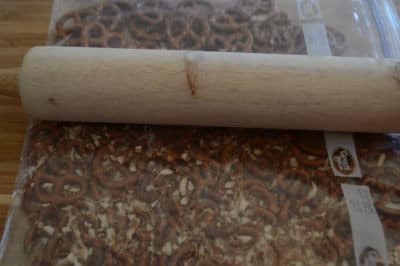 * I found it easier to distribute the mixture on the edges then carefully with the back of the spatula spreading the mixture from the edges working your way to the middle. 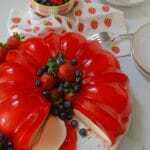 ** if you used fresh strawberries then dissolve the jello in 2 cups of boiling water. Yes! I loved the book — it stuck with me for weeks after finishing it! You are right that the movie didn’t do the novel justice. There is even a sequel to the book and I think there is a third part of book coming out right now. Perfect! Saving this one for summer picnics. Yum, this looks great! Strawberries are my favorite in desserts.